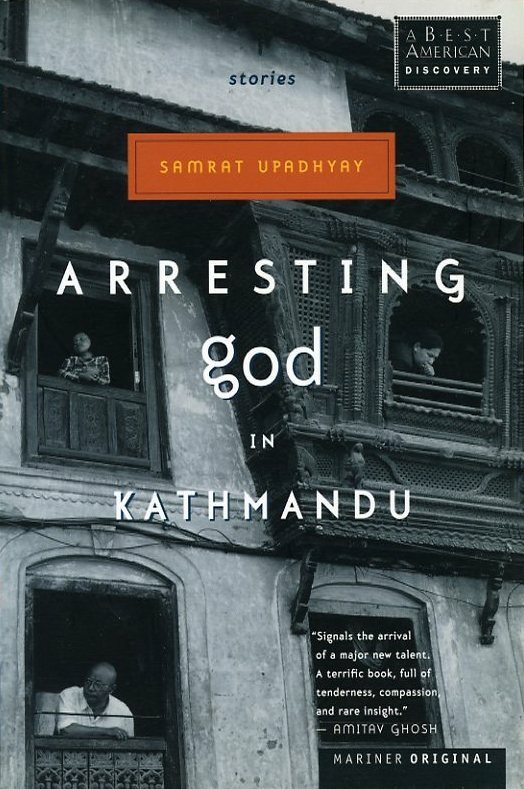 This entry was posted in Books and Literature and tagged Arresting God in Kathmandu, Creative Writing, Grades, Indian University, Kathmandu, Samrat Upadhyay, School, Teaching by nepali jiwan. Bookmark the permalink. I’ve had people recommend his writing to me, thinking, “ah, C likes Nepal, so she’ll like this.” I remember trying to read his book “Arresting Gods in Kathmandu” in college, and I just couldn’t get through it. I’m not sure why, something about the stories were a bit off-putting, but I should take another stab at it. I’m intrigued by the title of his newest collection, “The Royal Ghosts”– there is a lot of interesting literary potential in the story of the royal massacre. It must have been interesting to hear him speak! You mentioned before that you were working at a school. I thought you were working for an NGO before. Did you change positions? What are you teaching? Yeah, I’ve had a few other people tell me that it’s off-putting, but I definitely want to give it a try. I recommend reading Arresting God…I do remember enjoying the book, although it was a few years ago now. Must be a lot of fun teaching social studies and language arts 🙂 what grades do you teach? I put it on my list for break reading. I can’t wait to start.